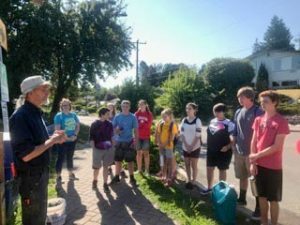 The Urban Cross Trek program began as a ministry of Maple Leaf Lutheran Church in Meadowbrook. 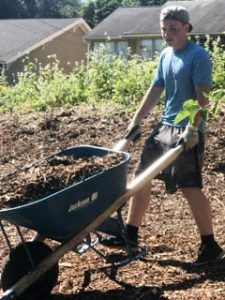 With the formation of the community nonprofit Meadowbrook Community CARE (MC2) in 2007, the plan was to be inclusive with our traveling guests and promote care for the planet, one neighborhood at a time. 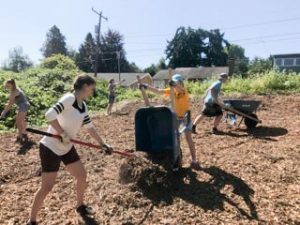 With the 2004 implementation of the welcoming service program, not only does service at the Meadowbrook Community Gardens and Orchards Program get attention, but other NE Seattle opportunities present themselves. 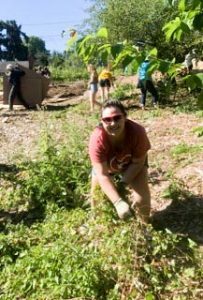 Shelter meals, food bank visits and other sustainable projects present clear efforts to create a stronger community. 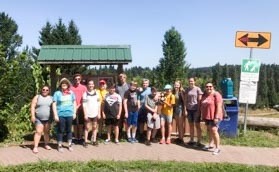 Pastor Karl at Christ the Good Shepherd Lutheran Church / Salem OR had a planned Summer visit to serve First Nation programming in Idaho with a stop in Seattle to rest, recharge and learn about faith groups and their desire to connect on important urban issues. So, being a part of the community effort at MCGO and preparing and serving a meal at the nightly coed shelter at Maple Leaf Lutheran Church SHARE shelter met criteria for Pastor Karl, chaperones and church youth. 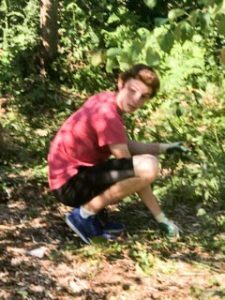 Working in the East Orchard was a good exercise on sustainability and team work. Orchard steward John also was able to share the history of the site and the goals around urban farming. Ongoing effort by volunteers of MCGO never ends and strengthens long term aspects to keep it up and operating. Recent harvests at the East Orchard shows the importance of frequent care and upkeep. Great effort by the group; we welcome volunteer interest in being ‘green’.